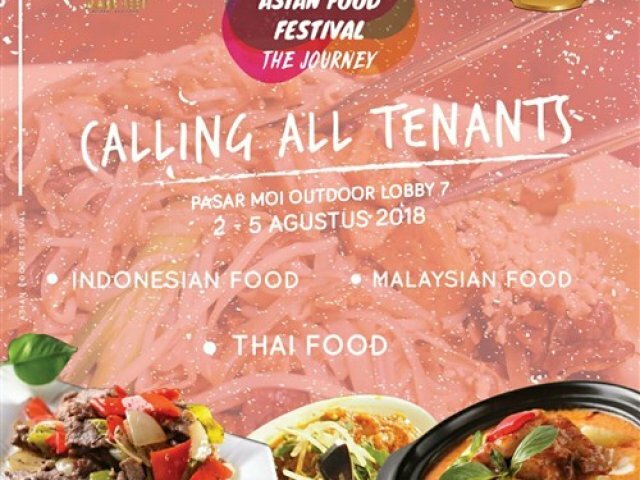 Asian Food Festival The Journey proudly present our Biggest and Authentic Culinary event at Lobby 7 Outdoor – Pasar MOI. Come and Join us and Get ready for all Foodies in Jakarta! We are coming to serve you with all the good foods! !